Uxbridge Ford has joined forces with Collision Centre II to service all your body shop needs. Choosing the right body shop to have your vehicle repaired is an important decision, and in most cases, you have the right to make that decision. Remember that not all shops are alike, and consideration should be made on the quality of repair facility and equipment, along with qualification and certification of the repairing technicians. 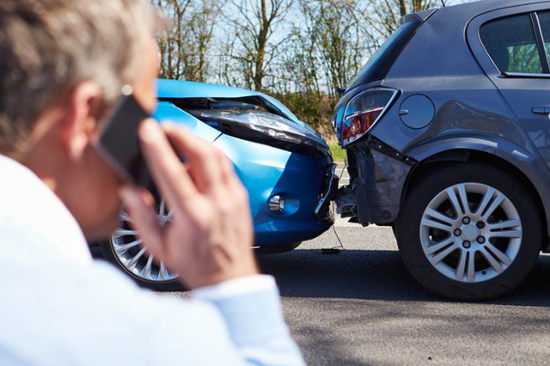 Your insurance company may suggest that you use one of its “preferred repair facilities”—these are shops with which the insurer has a contractual agreement, including both dealerships and local independent shops. Insurance companies will usually direct you to these facilities because of a discounted labour rate, and in most cases, aftermarket parts. This choice is often a cost cutting decision, and not necessarily what’s in the best interest of the consumer. Remember, the body shop is fixing YOUR vehicle for YOU, and it’s important you’re comfortable with the shop you choose. As a consumer, you have the right to request that your vehicle be repaired only with Original Equipment Manufactured (OEM) replacement parts. These are the same parts that your vehicle manufacturer distributes to ensure proper fit, function, and most importantly, safety. Everyone deserves to drive in a safely repaired vehicle; one that will perform properly in the event of a subsequent collision. But don’t leave safety to chance. Ask questions about the parts that will be used, and how your car will be repaired. Ask about the technicians’ training and if the shop is “certified” or “recognized” within the collision repair community. You have rights, but rights must be exercised. Get involved in the repair of your vehicle. Through our partnership with Collision Centre II you will have the piece of mind knowing that your vehicle is being repaired with Original Equipment Manufactured parts by certified technicians. Call today to find out more about our “We Pay Your Deductible” option, onsite rentals and pickup and delivery services.